WILLIE WADDELL is perhaps the most formidable character in the history of Rangers Football Club. Few men can have made a greater or more lasting contribution. In a 50-year association with Rangers, he rose from a schoolboy player, eager to make his mark, to manager, managing director and vice chairman of the club. It was his drive and vision which led to Ibrox becoming the magnificent all-seater complex it is today. Its status as one of an elite band of stadia in Europe with a five-star UEFA rating is testimony to his remarkable achievements. Waddell, born in Forth on March 7 1921, played his first game for Rangers reserves at the age of 15. Manager Bill Struth farmed out the young Waddell to Strathclyde Juniors to help him gain experience. He was to mature into a player of the greatest stature. He turned professional in May 1938 and made his first team debut at the age of 17 in a friendly against Arsenal three months later. It was a sensational beginning, Waddell scoring the only goal of the game. A week later he played his first League match in a 4-1 victory over Ayr. Waddell appeared in 27 League games that season, scoring seven goals, as Rangers won the championship. Waddell seemed to be destined for an illustrious career when the Scottish League was abandoned after just five games of the 1939-40 season because of war. He had broken into one of the great Rangers teams and could have looked forward to a long international run. As it was, he did not receive the first of his 17 Scotland caps until November 1947, making his full debut against Wales. Waddell was maturing into a strong and powerful winger blessed with a great turn of foot. His acceleration was terrific and it became one of his most potent weapons as he sprinted his way past defences. His crossing ability was legendary. Waddell was capable of providing the most teasing of centres to test opposition nerves. Rangers played in area divisional leagues during the war and Waddell was a regular and influential performer. They carried off all seven league titles played for in wartime and out of the 34 competitions they entered, they won 25. It was during this time that Waddell scored the first of the two hat-tricks of his career in a 4-2 victory over Third Lanark in August 1942. The result was that when the Scottish League resumed in 1946-47, Waddell was a highly experienced and gifted player. That season, Rangers picked up where they had left off in 1939 winning the first peacetime Championship. Waddell scored five goals in his 22 League games. He also scored twice as Rangers reached the new League Cup Final, including one in the semi-final win over Hibernian. But he missed out on the Final itself as Rangers became the first holders of the trophy beating Aberdeen 4-0 in April 1947. He didn’t appear in Rangers’ Scottish Cup Final win against Morton the following season either, though he had played a crucial part in the semi-final win, again over Hibs. The match was watched by a crowd of 143,570 people and was billed as the “Famous Five” of Hibernian’s attack against the “Iron Curtain” of Rangers’ defence. Hibs had most of the play, but it was Waddell who broke the deadlock with a run down the wing and a cross for Willie Thornton to head the only goal of the game. Earlier that season, Rangers had flown to Lisbon to take on Benfica in a friendly. Rangers won 3-0, but Waddell was happy for another reason. The air hostess he met on the flight became his wife. Waddell’s Cup Final hard luck story continued when he missed Rangers’ 2-0 defeat of Raith to win the League Cup in March 1949. He was Rangers’ top scorer in the competition, though, getting four in the earlier matches including a hat-trick against Clyde. That was the season that Rangers became the first team to win the Treble. Thornton was again leading marksman with 23 goals in 29 League games as Rangers won the Championship and, once more, many of them came courtesy of his chief supplier Waddell. Waddell at last won his first major Cup winners’ medal that season as Clyde were beaten 4-1 in the Scottish Cup final – but think how many more he might have had but for the war. Though Waddell, above all, was a player who provided service on a plate for others, he could be a powerful finisher himself. And perhaps the most important goal he ever scored was the one that won the Championship for Rangers in 1953. Waddell had won his second Scottish Cup medal eight days earlier as Rangers beat Aberdeen 1-0 in a replayed final. But on the last day of the League season they needed a point to make sure of the title and, with 15 minutes left, they were losing 1-0 to Queen of the South. Up popped Waddell to make it 1-1 and Rangers pipped Hibernian to the Championship on goal average. Waddell, who was also a talented journalist, retired as a player in the summer of 1956. His last appearance in the Light Blue was in a friendly against Manchester City. He played on the left wing in that game, his successor Alex Scott taking the right. In his career either side of the war he had played 339 games for Rangers and scored 64 goals. But in more than 200 games during wartime he had scored a further 88, including a best haul of 25 in the 1945-46 season. 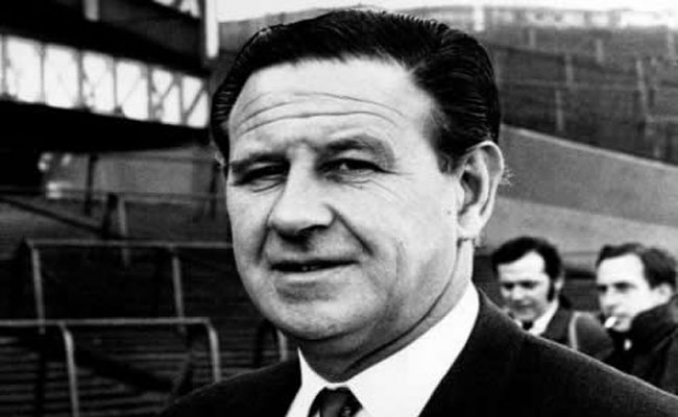 He had won four Championships and two Scottish Cups, but those honours do not to do justice to his influence on Rangers’ teams for 18 years.